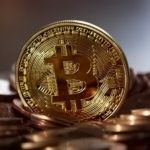 Bitcoin Breaks $8,000; Has It Bottomed Out? After weeks of ups and downs and struggling to maintain a price range, Bitcoin finally had a successful week after the cryptocurrency broke through the $7,000 mark on Thursday and began its ascend over $8,000. Currently, market signals indicate that the price increase could continue as long as the bullish pressure remains. According to recent market updates, the latest price push could be attributed to a report from the Wall Street Journal (WSJ) that hypothesized that Bitcoin has finally reached rock bottom, i.e. it “bottomed out”. 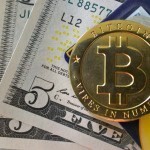 As reported by Investopedia, the WSJ report cited a string of statistical data to confirm its hypothesis, such as Bitcoin’s drop in trading volume, the decline in interest as shown by Google Search Trends, as well as the list of scandals associated with Bitcoin that the past months have brought. Not long after the WSJ report was published, Bitcoin’s price rallied from $6,000 to touch $8,000 in a matter of a few days. At the same time, Christine Lagarde, the head of IMF (International Monetary Fund), released a blog post that showcased the benefits of cryptocurrency. Both cases may have given Bitcoin the official support it needs and contributed to more investors backing up the cryptocurrency. In the past 7 days, the price of Bitcoin went from being under $7K to gaining over $1,000 in a matter of two days. The lowest price point was observed on Tuesday morning, when the price reached $6,819.82, while the highest the price climbed was on Sunday afternoon when 1 Bitcoin reached a price point of $8,337.02. The price growth coincided with an increase in trading volume, which almost doubled in size at the end of last week and came close to $10 billion. Since then, the trading volume has dropped to $7 billion while the market is considerably bigger than last week and is currently at $137.8 billion. According to our technical analysis, the market seems to be in a bullish mood with 5 out of 12 oscillators and 12 out of 12 moving averages being in the green zone on our short-term charts. The SMA 100 is over the SMA 200 on this time-frame, indicating that there is less resistance on the upward course. Following the end of the tax deadline in the US, traders are expecting a rebound in price. However, with the trading signals changing drastically and Bitcoin breaking the SMA 200 dynamic support, we could see an increase in bearish pressure and a drop towards $7,400. If you’ve been watching the price charts, you might have noticed that Bitcoin’s price dropped by over $200 in less than half an hour on Tuesday. 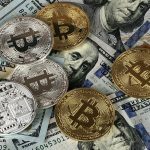 According to Market Watch, this steep loss was triggered by a $100 million sale that happened over two days and involved two different wallet addresses. 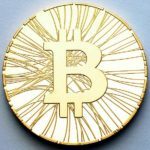 The first sale came on Monday, when the third-largest address associated with Bitcoin sold 6,600 coins. 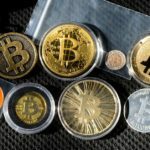 The wallet in question was the same address that some media portals reported on in February when an unidentified buyer invested more than $400 million in Bitcoin. Now, the seller has sold 6,600 coins for an average price of $8,026, receiving back roughly $52.9 million. And only a day later, another anonymous wallet that was valued at $1.49 billion sold 6,500 Bitcoins for an average price of $8,146.7, generating a sale that went over $50 million. The two “whale” sales stirred plenty of activity on online forums where users went to express their surprise and speculate on who the “whales” must be.